This charming Custom Kids Artwork Quilt will bring a smile - guaranteed! Custom Kids Artwork Quilt features 8.5x11 fabric blocks with original children's art printed on them. We piece custom quilts with fabric combinations to compliment and set off the art. School colors are a nice choice. 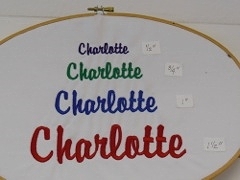 We also recommend primary fabric colors to maintain colors through years of washing. You can also include one block with the class year, teacher's name, etc. 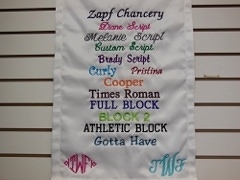 or have us embroider a class name and year on the bottom of the custom quilt. Please provide us with original children's art work for best scanning resolution. All artwork is returned with the finished custom quilt. You can also send us a CD with a good quality scan of the artwork. Machine quilted with outline quilting around the quilt blocks and a pattern design in the custom quilt border. This is a popular school fund-raising item. Price is an estimate; you will get a final price once all details are discussed and prior to work starting on your custom quilt. Please allow 12 weeks for delivery once all details are finalized. We ask for a 25% deposit of the final price prior to starting on the custom quilt; the remainder when the finished custom quilt is shipped. You will get photos along the way so you will literally see how your custom quilt is being made. Custom quilts are not returnable or refundable. Made in Missouri, USA.